Here are instructions on how to get the links for the recordings you make in CarmenConnect. 2) Click on the Recordings link. 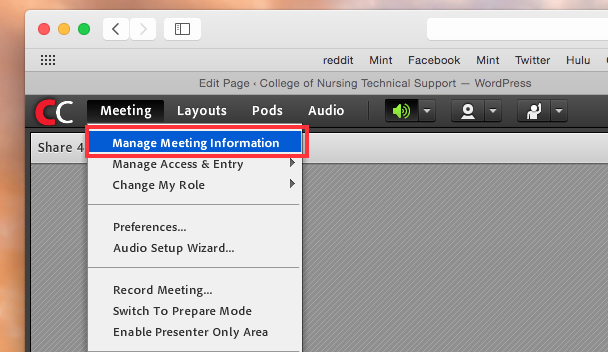 3) Check the box next to the recording and click on Access Type. 4) Change it from Private to Public and click on Save. 5) Click on the name of the recording itself and you’ll see a URL for viewing. This is what you can copy and paste into an email, discussion board, Content page, etc.